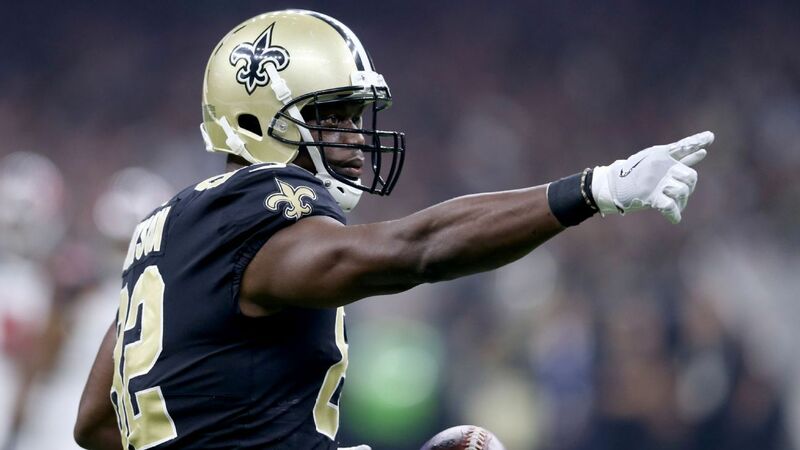 The NFL fined New Orleans Saints wideout Michael Thomas $30,000 for his touchdown celebration in his team's 45-35 Week 9 win over the Los Angeles Rams, NFL Network's Ian Rapoport reported Saturday. Thomas scored what proved to be the final touchdown in the fourth quarter. He proceeded to retrieve a cell phone from under the padding of the goal post, emulating former Saints wideout Joe Horn. According to Rapoport, the NFL punished Thomas for "using the phone as a prop and having a mobile device in the bench area." Referees also assessed him with a 15-yard unsportsmanlike conduct penalty, which pushed New Orleans' kickoff back to its own 20-yard line. A $30,000 fine and 15-yard penalty were arguably worth it, though. The penalty didn't impact the outcome, and Thomas did it after the Saints built a two-score lead inside the final four minutes of the game. Plus, it was a great way to honor another Saints star from the past. "I paid a tribute to [Horn], tried to get the crowd going a little bit more, set the tone, have fun out there, giving people a show," Thomas said of his celebration, per ESPN.com's Mike Triplett. "You gotta have fun. All these guys just catching touchdowns and celebrating with each other, having fun, getting the crowd involved. I felt like I had an opportunity to make it happen, put the game away and make a call." Triplett added that the celebration "'absolutely' meant a lot to [Horn]."